Frankfurt und the USA have grown very close for historical reasons. For many decades, there have been business and cultural links, which are a focus for both the City and Frankfurt Economic Development GmbH. This continues in the cooperation of various universities and colleges. The Goethe University of Frankfurt maintains partnerships with universities in St. Louis/MO, New Jersey, Milwaukee, Wisconsin, and Massachusetts. 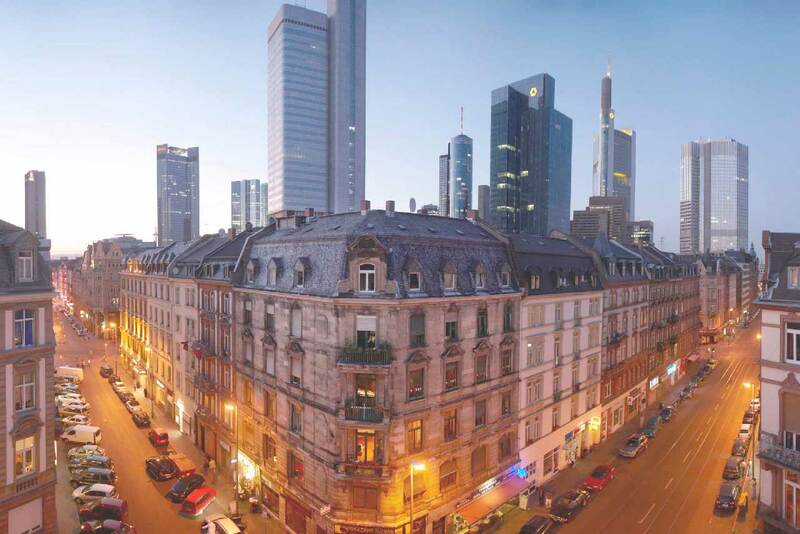 Due to the existing networks between representatives of the business and academic worlds, Frankfurt has become a premier destination for US companies. The growing American business community and its activities contribute to Frankfurt’s continuing attractiveness as a place to work and live in. We are the trusted partner for companies both in the phase of settlement and in later business development. Are you interested in investment or networking opportunities? Then please get in touch. Get to know American life in Frankfurt and feel right at home! Besides numerous bilingual schools, the city boasts German-American business clubs for men and women, English-language cinemas and theaters, a variety of sports clubs ranging from basketball to rugby, as well as restaurants and pubs offering authentic American food. The city leaves nothing to be desired for the US community. Even Elvis Presley enjoyed staying here back in his day. This English-language school offers the full program from preschool to A-levels. Founded in 1961, it has a long tradition. At the moment, 1,800 pupils are taught here. The school offers schooling from preschool all through to A-levels. It was founded in 1999 by the City of Frankfurt, the State of Hessen and a number of multinational companies and accommodates up to 1,000 pupils. The Union International Club e.V. Exiles Rugby and Hockey Club c/o Sport-Club Frankfurt 1880 e.V. With about 3,000 members, the American Chamber of Commerce in Germany e. V. (AmCham Germany) is the largest bilateral business association in Europe. The businesses organized in it represent an investment of about 110 billion Euros and 800,000 direct jobs. AmCham regards itself as a communications bridge geared toward investors in the US. Its activities focus on strengthening German-American business relations and Germany as a location for doing business. The American German Business Club is an internationally active charitable association founded in 1964 by American entrepreneurs. Today the club has nine chapters in Germany and one in the US. Far more than 700 members from a wide variety of industries are part of AGBC e.V., for example from telecommunications, the media, finance, law, and insurance. The club aims to strengthen ties between American and German entrepreneurs by facilitating personal networking opportunities in an informal setting. The association is a forum for discussions of national and international economic importance. It supports the free trade and the transfer of ideas between the two countries and facilitates personal interaction among the entrepreneurs of the community. Membership is not contingent upon citizenship, but open to all who share the club’s aims. The FIZ cooperates with the US research center “University Research Park” at the University of Wisconsin in Madison. The aims are to support international business activities and to strengthen the synergy effects in training, research, education, and business. The Goethe University of Frankfurt maintains partnerships with universities in Georgia, St. Louis/MO, New Jersey, Wisconsin, Pennsylvania, Massachusetts, and New York.